The antioxidants found in cinnamon helps prevent the skin from breaking out, hence preventing acne and slowing down aging. Cinnamon has higher levels of antioxidants compared to garlic, rosemary and thyme. Polyphenols, phenolic acid and flavonoids, the antioxidants found in cinnamon, help in limiting the buildup of nitric acid in the blood and peroxidation of fats which can affect the brain, heart and other body tissues. Inflammation can lead to severe health complications such as cancer, heart diseases and brain infection. 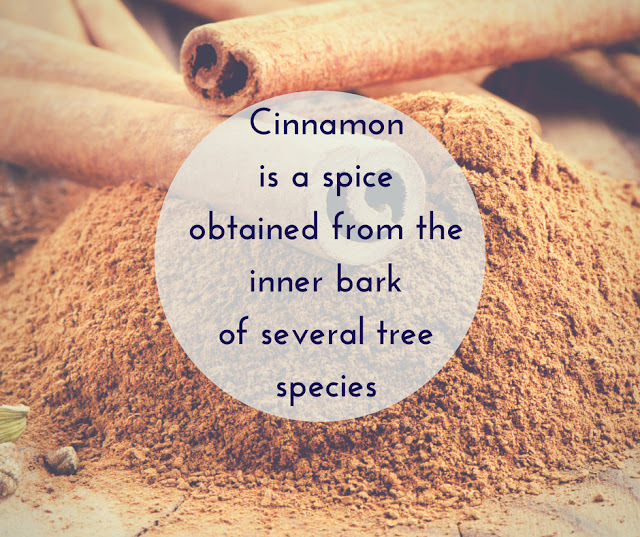 Cinnamon contain anti-inflammatory properties that help reduce the chances of such. Because of the anti-inflammatory properties, cinnamon is also helpful in reducing pain and soreness of the muscles. Sugar is not good for your health. Cinnamon’s natural sweet taste can help in cutting down on the amount of sugar in your foods. It can be used in drinks, baked food and in oatmeal as a substitute for sugar. Cinnamon can also help in keeping craving for food in check hence helping in managing one’s weight. Smashingtops.Com has amazing recipes in which you can use cinnamon as a spice. High levels of cholesterol can trigger heart attacks and high blood pressure. Cinnamon help in managing the levels of cholesterol in the body. It improves blood circulation within the body. The spice also helps in the formation of blood clots hence reducing bleeding in the event of a cut. Cinnamon helps in balancing blood sugar levels by improving sensitivity to insulin. It also blocks alanine enzymes which are responsible for allowing sugar into the bloodstream after taking a meal with high sugar content. Supplementing their diets with cinnamon can help people in their fight against diabetes. The antioxidants found in cinnamon can be useful in preventing neurological disorders such as Alzheimer’s and Parkinson’s diseases. It protects the brain cells from mutation and self-damage hence protecting the brain health and cognitive function. Cinnamon helps in fighting oral bacteria that cause cavities, mouth infections, tooth decay and bad breath. It is a natural mouthwash and can be used as a breath freshener. It is also used to treat toothaches. The spice can also be used to prevent or cure fungal infections such as candida. It lowers the growth of yeasts that cause problems in the digestive tract. Candida is also associated with excess sugar in the digestive tract, and we have already discussed how cinnamon lowers blood sugar in the body.